Thirteen (13) counties received a total grant of KSH. 1.95 Billion among them Baringo Ksh. 173 Million under The Kenya Devolution Support Programme (KDSP), a World Bank supported programme implemented in both levels of governments under the co-ordination of Ministry of Devolution and ASAL. Kenya Devolution Support Programme (KDSP) is designed to support the implementation of the National Capacity Building Framework (NCBF). The overall objective of the NCBF is to ensure the devolution process is smooth and seamless to safeguard the delivery of quality services to citizens. 5: Environmental and Social Safeguards. 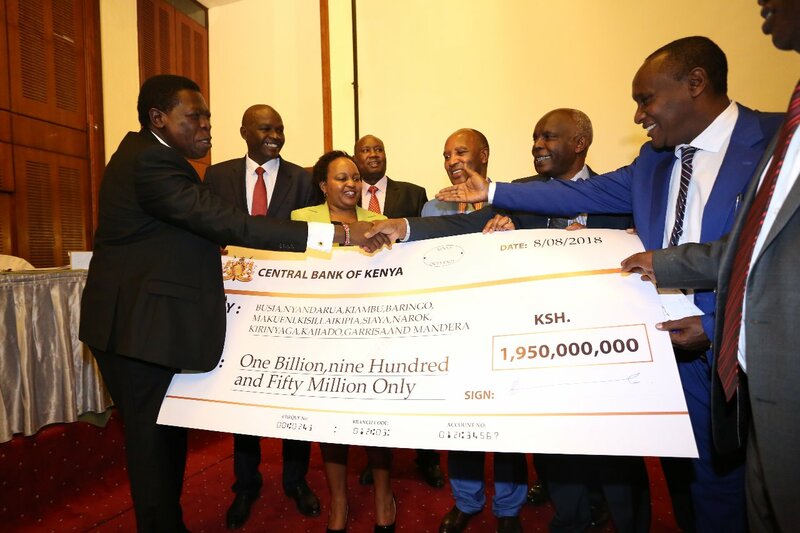 Baringo emerged position two overally based on the assessment done by the World Bank on the implementation of the KRA s.
Leading the county in receiving the grant from Devolution Cabinet Secretary Hon. Eugine Wamalwa was H.E. Governor Stanley Kiptis, and was accompanied by Deputy Governor HE Jacob Kurui Chepkwony , CEC Treasury Hon.Dr. David Sergon and officials from the Planning department. Other counties that benefited were Makueni, Busia, Kirinyaga, Nyandarua, Garissa, Kajiado, Kiambu, Kisii, Laikipia, Mandera, Narok and Siaya.